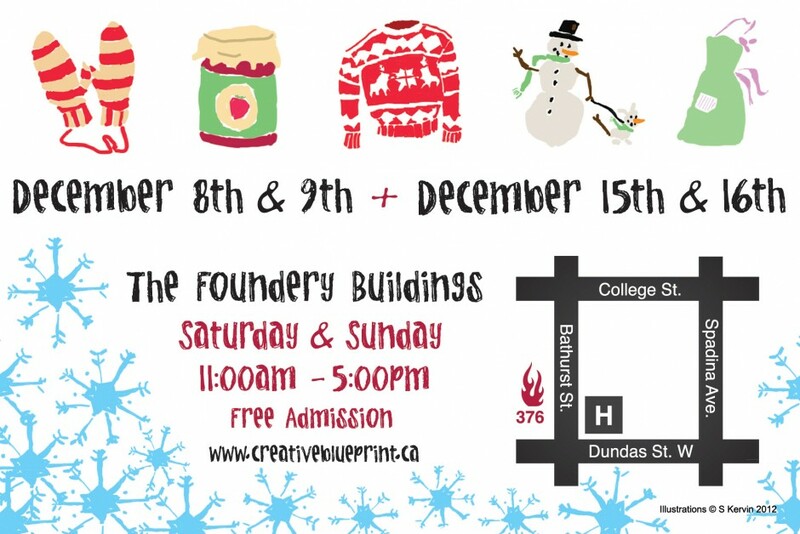 Creative Blueprint and the Toronto Business Development Centre proudly present the 2012 Holiday Art Markets in the Foundery Buildings. December 8th & 9th AND December 15th & 16th 2012. Show your support for local artists & entrepreneurs this holiday season! Visit 30+ artists, artisans and vendors each weekend for a unique shopping experience.